I arrived in Belgium on Wednesday, and was greeted at the airport with a familiar face, Jeroen (Roeland's brother and pit mechanic from last year) was kind enough to take me from the airport to my new home for the next 2 months. I'm again staying with Roeland and Rose, who are now living with Roelands mum Karine. Its a big house, and I have the entire attic to myself, which is perfect for spreading my clothes all over the floor, just like home. Since I left last year, Karine and Patrick have two new dogs, an Irish setter and a Spaniel of some sort, so together with the little troublemaker Peppa the house will always provide entertainment. Roeland's a very handy cyclist too, and is planning on returning to Australia with some form, so he's stopped working early, and I now have a training buddy to go and tear up the mean streets of Belgium with. 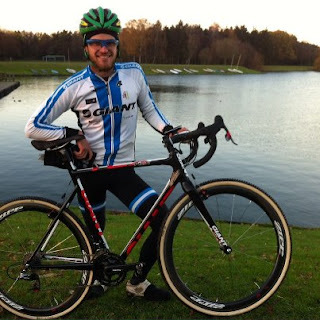 Roeland scored a gig on the Marathon MTB team and will be racing enduro MTB races and a few road races back in Australia. 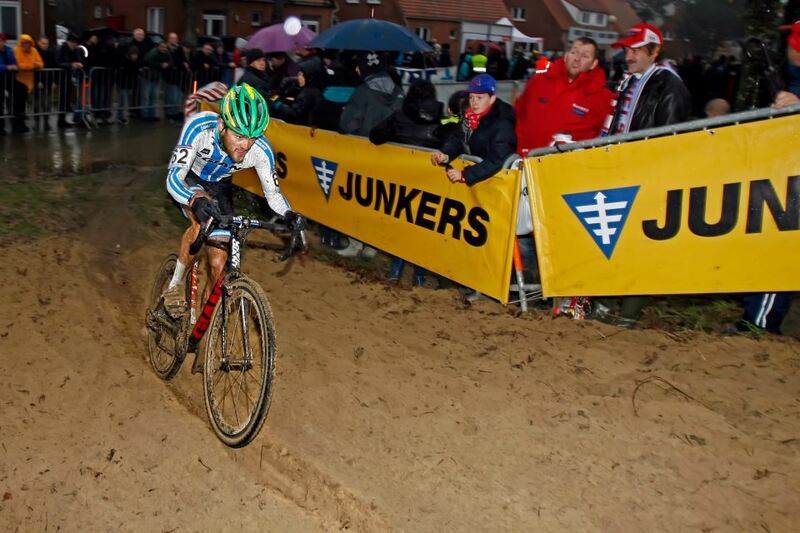 Koksijde is the location of last years World Championships where 60,000 people rocked up. Its an insanely technical course where something like 40% of the lap is on sand dunes. On my practice lap, I crossed paths with a few friendly and familiar faces such as Alex "Mo Man" Revell, who I met in NZ in July, and who has now got a huge following in Belgium, having raced here since November. I also ran into my coach Mark Compton-Legg, whose wife Katie is leading the World Cup Series. Mark is an encyclopedia of information on anything bike or cross related, and he gave me a few handy last minute pointers on my practice lap. There was another kiwi, Angus, who popped over from Denmark to race, and of course Yannick Mayer, everybody's favourite German. I made some last minute adjustments to the new bike, and figured out which sand sections I would attempt to ride and which ones were quicker to simply run. I had a few bungles on my practice lap, and stepped on my new Zipp wheels when my front wheel sunk into the sand, sending me A over T infront of a few spectators, a broken wheel would have been a terrible start to the trip, but it held up fine. Riding in the sand is all about timing your remounts, speed and positioning your body weight, and whilst I managed to link up a few tricky sections, it was still slightly terrifying riding down steep hills in 40cm of sand. 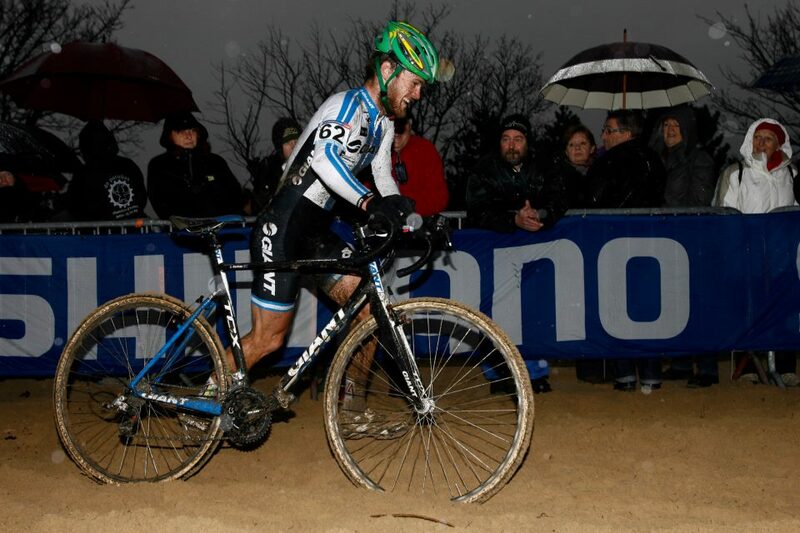 I've got to say, after riding a practice lap in the mud at Zolder last year on a set of carbon wheels, I swore I would only ride alloy wheels in CX from then onwards, the braking power was just awful. I have been lucky enough to be looked after by Sram Australia this year, and they were kind enough to hook me up with a set of Zipp 303s to take overseas. I was a little apprehensive at first, however after inspecting a few pro bike set ups, I figured if it works for them it can surely work for me. 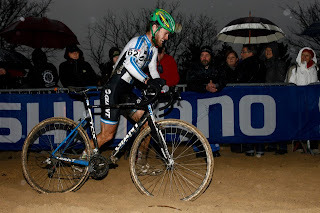 Aside from the fact that they look incredible and weigh 1250g, the wheels provided heaps of stopping power, even in the wet and mud I had control down the steeper descents. I'd partnered the wheels with some yellow swiss stop pads, which are what most of the pros use, and they work exceptionally well. 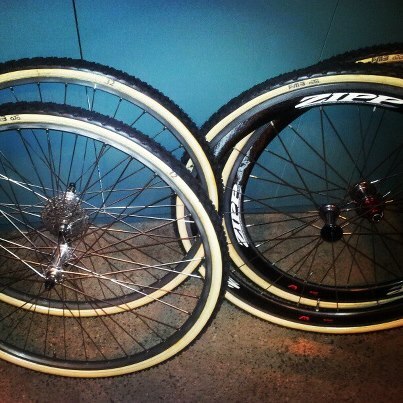 The trick new wheels were glued to some new tyres I bought off Paul Larkin; FMB Super Muds. These were recommended to me by my coach, and are apparently second to none in muddy conditions (they weren't ideal in the sand, but I only have two tubular wheelsets, and most of the race conditions will be muddy). Come race day, the rain had been pouring all night, and sure enough large portions of the course became thick sloppy mud. The tyres never once lost traction in the filth, I am very impressed. FMB are handmade, just like Dugast, however Dugast require treatment on the sidewalls, to prevent the casing from rotting in the wet, whereas FMBs come stock with a protective barrier to moisture. They are expensive, but I can see why Mark suggested I buy them. Giant have been my biggest supporter since 2011, and I have recently been given a 2013 TCX Advanced to take with me along with my 2011 version. I now have two carbon cross bikes, with very similar components (2012 and 2013 Sram Red), which will be a massive advantage in the pits. The new TCX Advanced is similar in design to the previous models, but comes in a different colour scheme and at a lower price of $4299; an absolute bargain for a top level, Red equipped CX bike. Race day came around and we all loaded into Jeroen's new Volvo. Its been kitted out with a sweet rack for the bikes, and some blown up decal magnets for the passenger doors. No pics yet, but I'll upload them in the next post. The weather was awful, 6 degrees and constant rain. Classic Belgium. I rode another few laps of the course and tried to stay warm. After a good warmup on the trainer, I rode to the start and we were all called up. The gun went off, and I got an alright start, with myself, Alex and Angus all riding together, just in touch with the main bunch. I was riding between the two kiwi's, with Alex infront, and Alex came down around a slippery corner, I managed to avoid him and the bike, and rode off in pursuit of the few riders still in sight. Sand is so energy sapping, whether you ride or run, to the point where your throat is on fire from trying to gulp enough oxygen. I was gaining ground on a Spanish rider ahead of me, and whilst focussing on him, and keeping an eye on Alex, I completely forgot to swap bikes, the new bike held up beautifully though, and after 3 laps I grabbed the old and familiar rig and set off once again. I'm pretty sure I rode 4 laps in total, it was just shy of 40 mins, before I was pulled, and just as I was within about 20m of the Spanish guy. I was happy to be pulled off though, everything hurt and I was exhausted. Alex came through a minute or so later just as the top guys came past. We were 4 laps down, and only one lap down on the Luxembourgians, who are pretty handy riders. Somehow, we all managed to slip into the top 50. 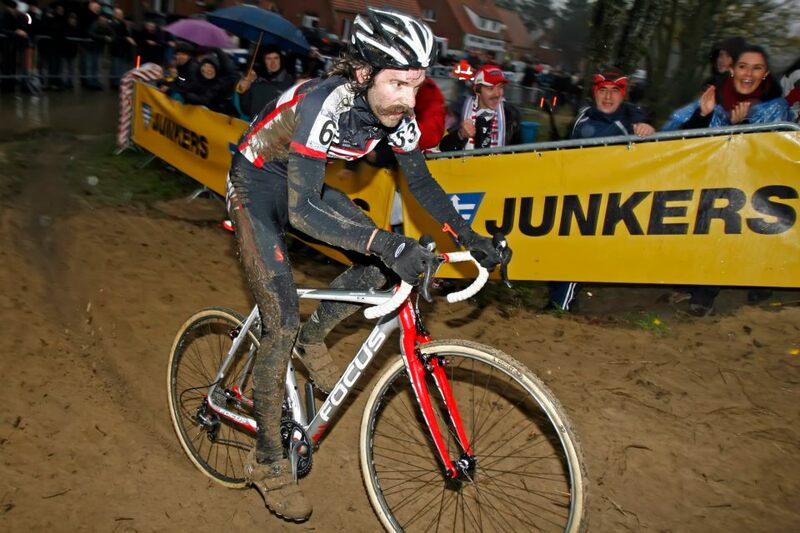 I managed 45th, which nets me 300 euros prizemoney and 15 UCI points. So I only need 5 more to qualify for Louisville! Happy days! You may remember I was 7 laps down last year, so I'm pretty happy with the improvement (even though the course and pace were a little different). Time to rest up, clean up, cut my hair, shave my face, recover, train, buy stuff, and work out what races I want to do over the next few months. Roubaix World Cup is next Sunday. PS: Apologies for a distinct lack of updates over the past few months. Having paid minimal attention to uni for most of the semester it was time to step up and focus on studying to ensure I can pass all my subjects and wrap up the course ASAP. Well done for your first big race. Best of luck getting that last 5 points to qualify for Louisville, I'm sure you will get there. Cheers! Top stuff Lewis. Keep up the great work. 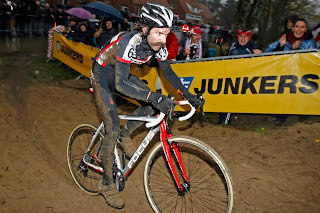 Ask Nys if he will ease up for you like he did for Vantornout at Gieten. :-) Will you be doing many of the superprestige races also? Thanks guys. 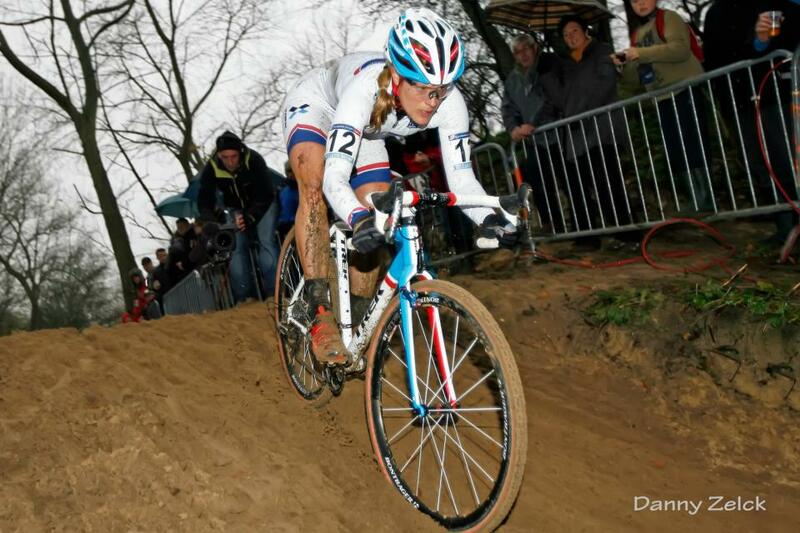 King - I'll be doing Diegem Superprestige hopefully. Not many over the next 2 months!